Time for another quick update. Finished out the heroic BRF a few weeks back and now moving into some mythic progress. 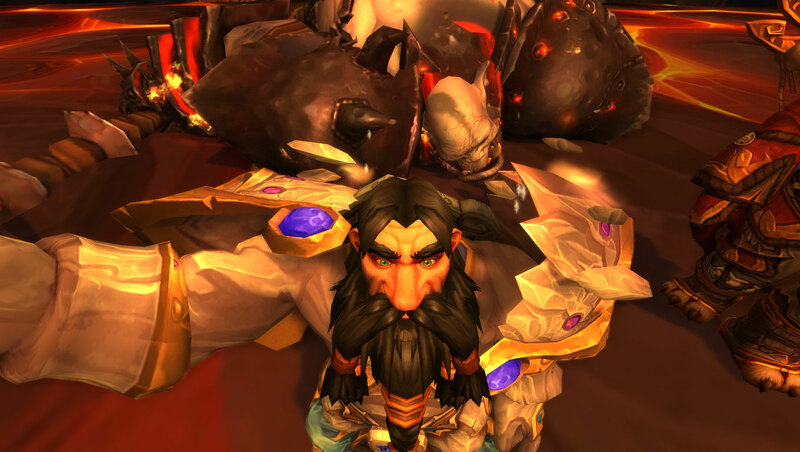 For Blackhand, a few people got their best duckface on and took some selfies to share. Unfortunately they were all dudes and much like IRL, Rav is short and hairy so he didn't make for the best selfie photos, but at least he got the angle nice and high so he looks a little thinner. 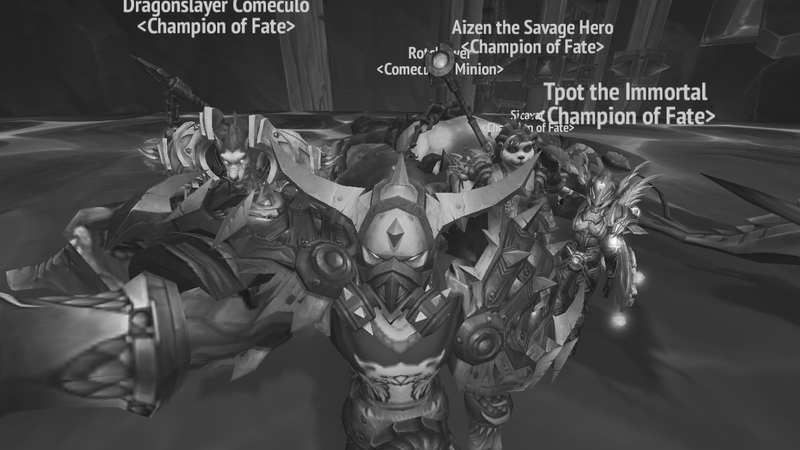 Look for Mythic kill updates and let's hope for some better selfies to come! We're still looking for some people for our Mythic roster, ranged DPS and healers please head over to the forum or contact Calis or Fulbert in game. Hello again out there. Figured it was time to check in and post something new. We've made the jump into a 20man Mythic roster and are working our way into Highmaul now that the holidays are over and we're back to normal schedule. Team is working out well and I hope we'll keep getting things tighter as we push on. As for players, we are still on the lookout for a solid heal/dps hybrid, check out the forum for recruiting info. 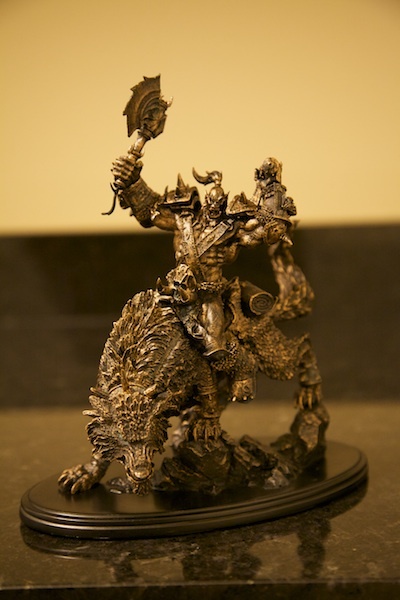 Blizzard surprised some people this week when UPS shipping notices started to appear saying a mystery package has been sent. 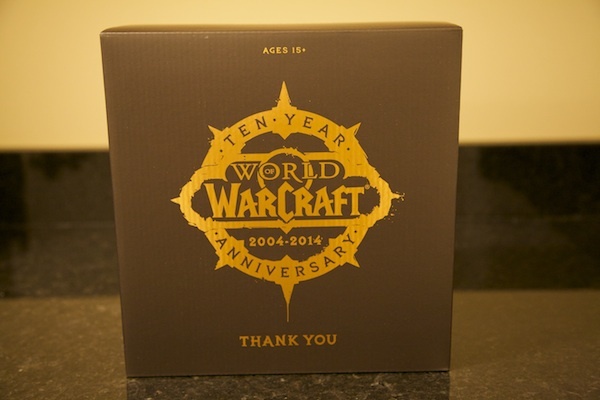 Today the packages came for many and Blizzard has put together a gift for their veteran players. The requirements to qualify for the gift seem a little loose, but account created within 60 days of 11/23/2004 and no major breaks in the subscription seem to be the key items. The exact amount of time the account could have been unsubbed is what is unclear. But here's a quick look at what I got today. Congrats to Balder who also got his today. Hey everyone out there, we will be kicking off our Mythic raid roster when the 6.0 pre-patch for WoD lands sometime later in October. 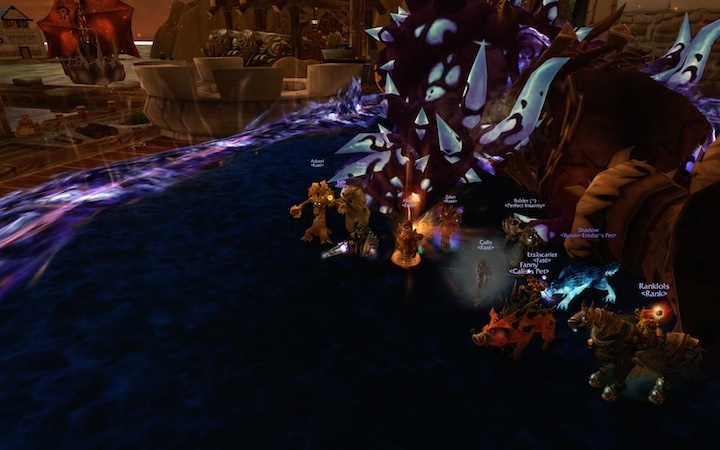 We'll start doing Mythic SOO clears to get some time in with new talents, class changes and get everyone together for our new expanded roster. There's still time, we are looking to fill out some more so if you have not already, check out the forum to app or find into how to contact us in game. Alright, 14/14H done. 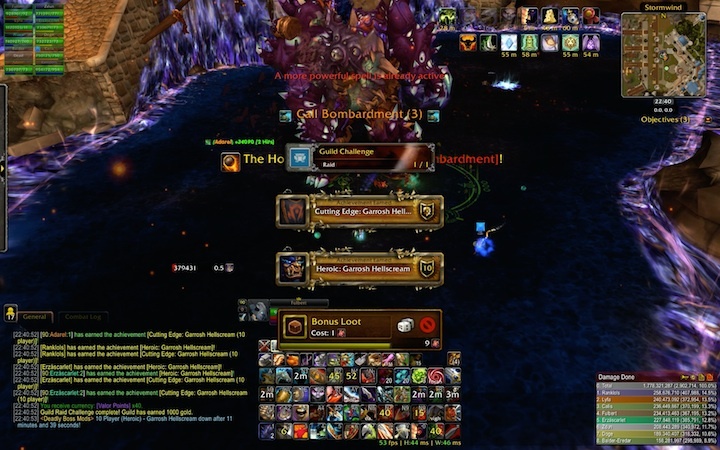 Congrats everyone on putting in the work and sticking it out and grats Calis on the first mount. We're off into farm mode now and looking forward to WoD 20 man Mythic. Check out the forums for more info about our WoD plans. A special thanks to Ranked for filling in as we worked this fight. See everyone in WoD!